How do you enter cheats in Spyro: Reignited Trilogy? What cheat codes can you use in Spyro: Reignited Trilogy, and what do they do? The original PSone games, Spyro 1, 2, and 3, all had cheats back in the day, and they've made somewhat of a comeback for the PS4 remake. Most of the cheat codes are cosmetic, but there is one that will be especially useful for people new to Spyro. Let's go through them all in this guide. Do cheats disable trophies in Spyro: Reignited Trilogy? Nope. You can use any of the below cheat codes without affecting trophies or save data. They won't disable trophies, so you can go nuts with these cheats and still work your way towards those three Platinums. To use any cheat in Spyro: Reignited Trilogy, simply pause the game. In the pause menu, you'll be able to enter the cheat codes. They all work across Spyro 1, Spyro 2: Ripto's Rage! 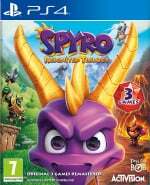 and Spyro 3: Year of the Dragon (unless otherwise specified), and they also carry over between the games. If you want to disable one of the cheats, simply use the code again and its effects will be removed. If you're struggling with a tricky boss or a fiddly glide, use this cheat to instantly give Spyro 99 lives. 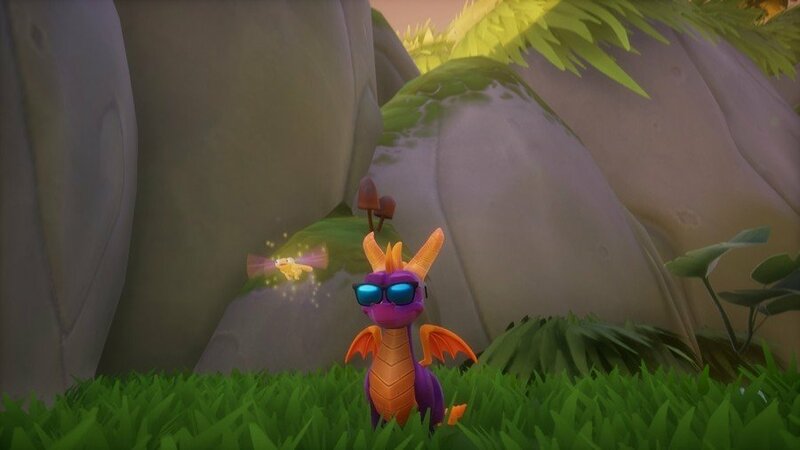 Want to see Spyro rocking a sweet pair of shades? Use this cheat code to provide him with some stylish specs. This cheat turns Spyro into a PSone style, low-poly version of himself. This silly cheat code gives Spyro an enlarged head, which is always funny. If you'd rather shrink Spyro's noggin than expand it, use this cheat code. Use this cheat to squash Spyro into a 2D character. This code gives Spyro a pair of tiny wings, if that's your thing. The below cheat codes will turn Spyro into various different colours from nose to tail. The codes are identical aside from the final button, which determines the colour. In Spyro 2: Ripto's Rage! you can toggle whether Spyro has Superflame breath or his regular fire attack. This cheat code only works for Spyro 2, and only works after you've collected all 10,000 gems and all 64 orbs. If you're at the skate park near the start of Spyro 3, you can input the below cheat code to swap out the standard skateboard for one that looks like a squid, for some reason. Does the 99 lives code disable trophies? Asking for a friend. @glassmusic I’m fairly sure it doesn’t! @glassmusic "Asking for a friend." lol! @glassmusic To be honest I don't think Devs care about trophies Square Enix didn't with the likes of FF7 as they added the booster cheats to always have Limit Bars full yet with FF8 they decided to disable trophies if you switched them on. So any of these disable trophies? Is any trophy disables the cheats? @Yuricloud3 @ParamitePunk These cheats don't disable trophies! I've updated the guide with this info. @snarls200 Thank you for sharing! @snarls200 You're right - I've updated the guide. Thanks! damn....I MISSED CHEAT CODES TOO MUCH!